To develop cognitive skill in young children by using their eyes and touch. 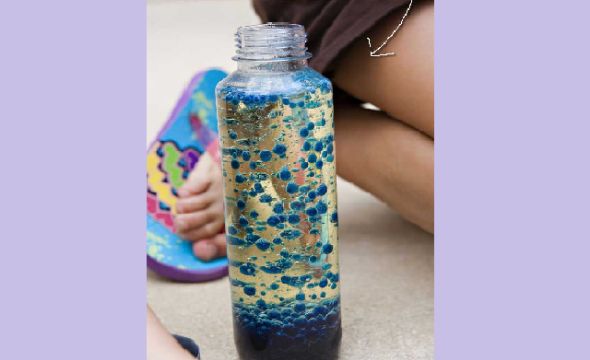 Student can enjoy science and art at the same time as they can help teacher to built their own Lava Lamp, and they can take it home! Teacher must provide tools to student one at a time and explain clearly what to do and how to use it.